Departure: Tour starts daily at your location around 5 pm. • The minimum group size is 2 people. 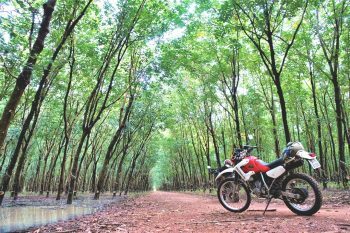 What will you do if you only have a couple of hours in Saigon? Do you want to take a quick ride and enjoy the nightlife atmosphere of this biggest city in Vietnam? 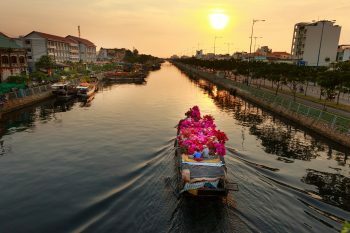 Weaving in and out every corner, we take you on a journey that not only touches some of historical antecedents but also delves into modern lifestyle of Saigon. Saigon by night – flavorful street food is a unique and “tasty” experience if you dare to try all local street food in this Vietnam motorbike tour. 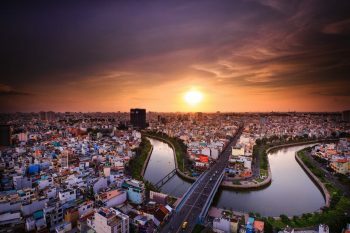 Waiting at your hotel, we will pick you up and then we start heading to our very first destination where you can have a splendid panoramic across cityscape by Saigon River. It cannot be more interesting if you warm up the night with a drink (beer or mocktail or smoothie as you wish) before immersing in the Saigon’s nightlife. After that, oh hell yeah, it’s time for the first course of the night, which is “Banh hoi thit nuong”. 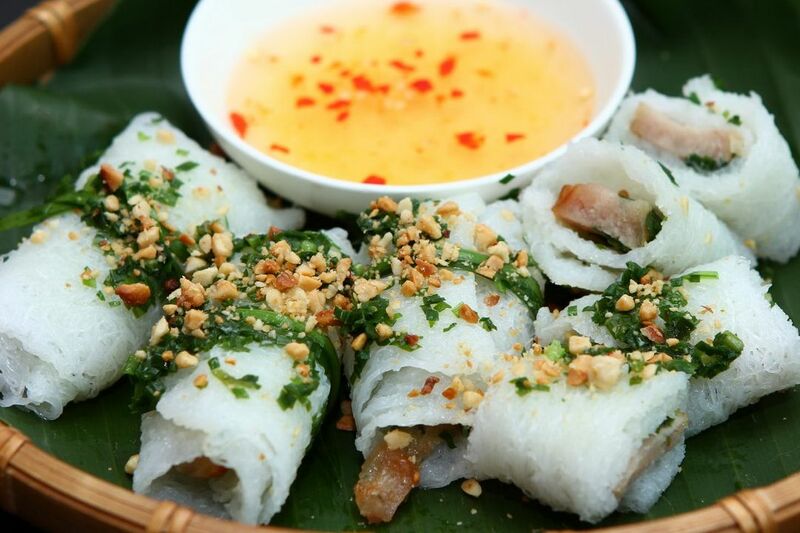 “Banh hoi” is super thin rice noodle which is light, fluffy and woven into intricate bundles or mats. On the other hand, “thit nuong” is ubiquitous smoky grilled pork which is the hallmark of a lot of street side barbeques. 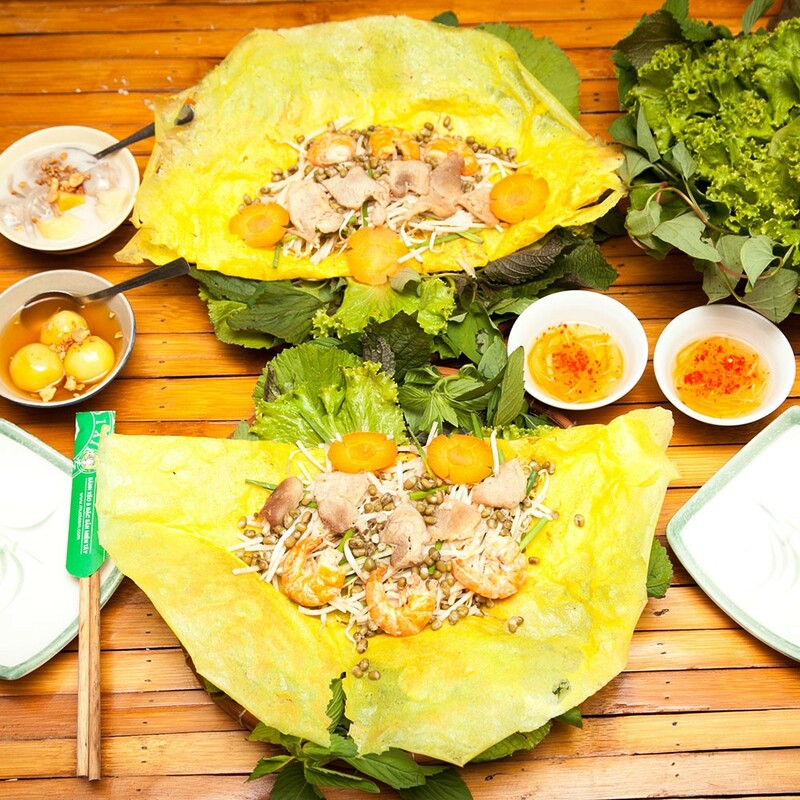 Banh hoi is served as a layer on a plate and topped with thit nuong. 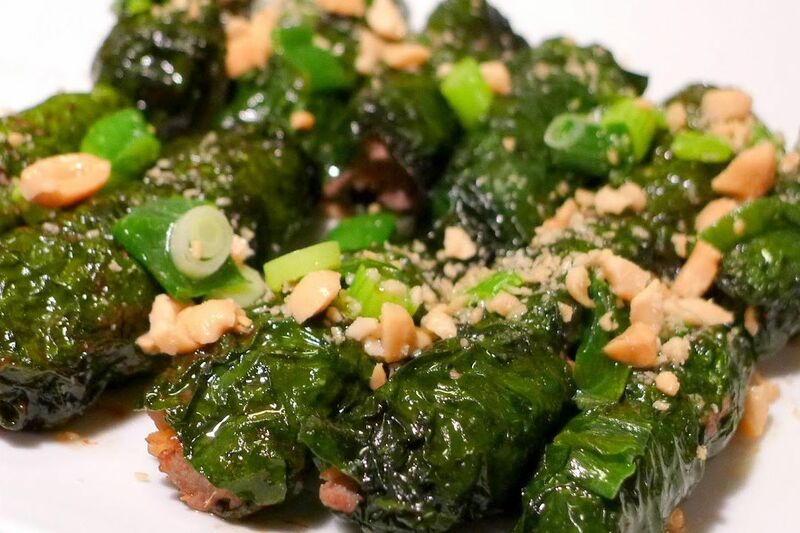 For adventurers who don’t like pork, “bo la lot” (grilled beef rolled in pepper leaves) is your alternative choice. Next, you can have a real adventurous feeling while we ride on zigzag roads through many small business areas to Chinatown. 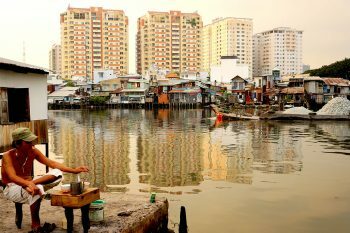 Then, we are off to District 8 to sightsee small stilt houses along the canal to Saigon River. This area is worth exploring in the night. We can stop for a drink and have a closer look at local life along the canal. This old town is a totally contrast to newly built, comfortable and luxury residences in District 7. Last destination of this journey is District 4. 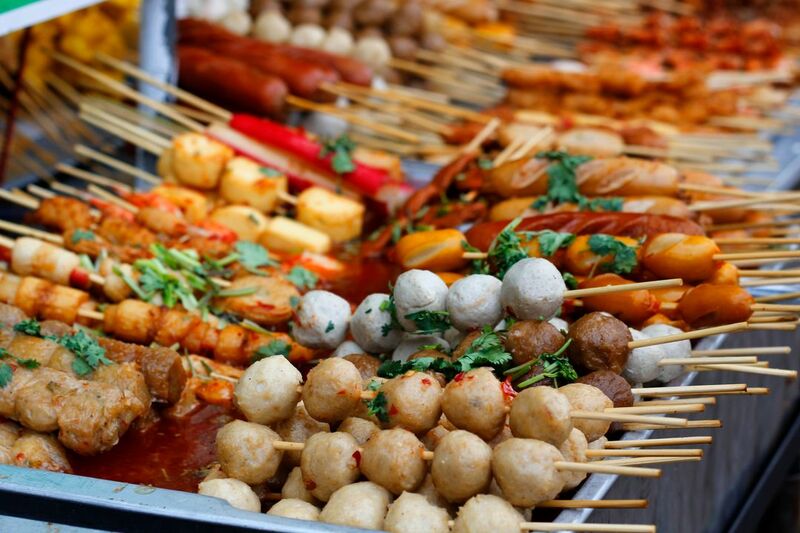 Barbecued seafood and exotic street food are waiting for us to enjoy. 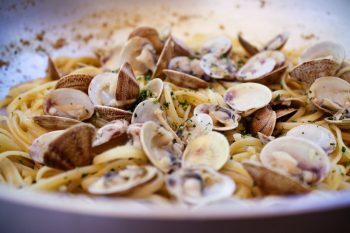 You have the chance to show-off your cooking skills as you can have your food processed right at your table. Sitting on the sidewalk and eating street food, you look like a real Saigonese at this moment. Now, we believe that your belly is full and your mind is blown away with both historic and modern pictures of Saigon. This tour calls for adventurous taste-buddies and a strong backside. 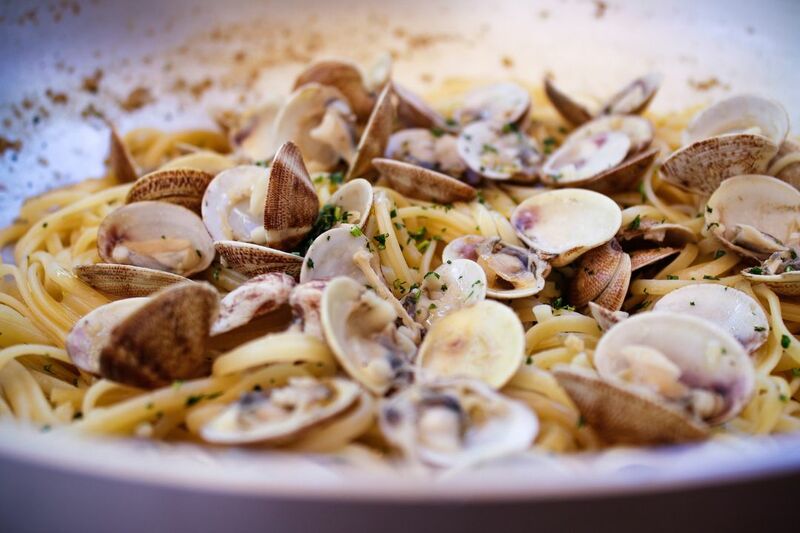 However, you really don’t need to taste all dishes. 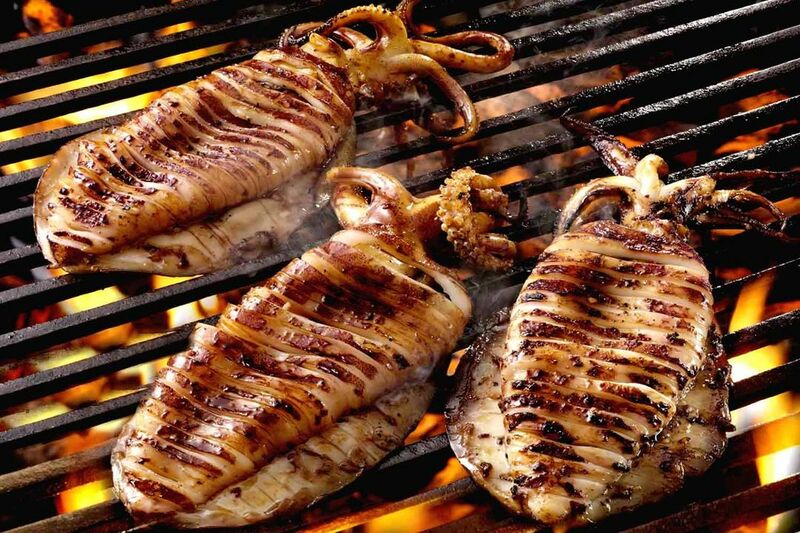 If you don’t like seafood or any specific kind of street food, please let us know in advance for alternatives.